Each subscription to the fiber club lasts 3 months (in this instance, January-March). You get 4 oz of Falkland wool in an exclusive cosymakes colorway, hand dyed by me with Greener Shades Professional Acid Dyes. You may instead choose to get a double batch (8 oz). If I have left overs of the colorway, they will not make it into my shop until at least 6 months later. All slots are available here on etsy. If you need to pay month by month, please contact me directly at cosymakes(!at)gmail(dot!)com. 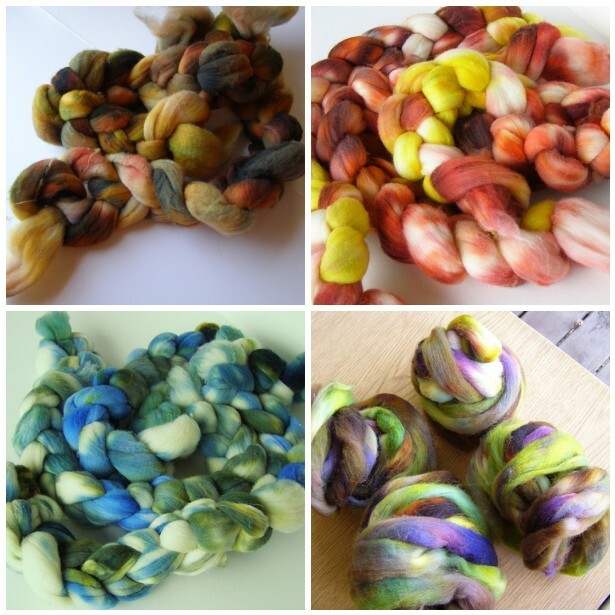 This entry was posted in cosyknitsliterally, dyeing, fiber club, handspun, spinning, update by cosymakes. Bookmark the permalink. I am looking forward to getting settled in our new home in Anchorage, and being able to jump back in the club! I just love love love your fiber, lady!